For the past few years when people ask me what I want for Christmas I ask that they make a donation to a charity. It used to be St. Jude's and I would get a very nice acknowledgement card from them. I think most large organizations do this. This year a good friend of mine got married (she is in her 50's) and although it was her first marriage, she, like me, does not need another "thing". I gave her her wedding invitation in a silver frame and a donation to the Childrens' Hospital in Boston. (She was also sort of styling her wedding on a lower scale Will and Kate version and that was along the line of what they requested as wedding gifts). In response to my "Question Impossible", along with great responses from diggerdee and diggingthedirt, gardenweed sent me a lot of perennial seeds to wintersow for Michelle's (ontheteam) Childrens' Hospital plant sale in May. I've tried wintersowing before with mixed results and was wondering if there is anyone out there who would be able to help. This is what I propose - if you're in the greater Boston area (I live in Newton) select at least 2 seed packages from the list below and wintersow them for the plant sale and "give" the plants and your time and efforts as a gift to someone this year (just include a notation in a card). As long as there are at least 20 plants (or if you pick more than 2 seeds, at least 10 plants per seed package) in the Spring, I'll come pick them up. If your wintersowing efforts are not successful, at least you tried and you'll get some experience for the future. If you succeed, you'll be donating some plants to the plant sale but also get to keep some to give the remainder to family, friends or swaps. Either way, you've given the person who has everything a gift of yourself to benefit the Childrens' Hospital. I'm trying to make this a win-win for everyone so if you're interested or have any other idea, please send me an email. Thank you for you time and patience reading my long winded message. HAPPY HOLIDAYS! 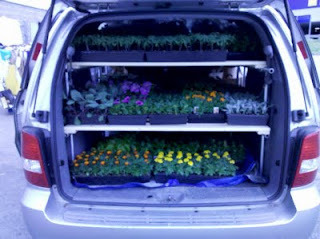 And 2012 plant sale prep starts! So most of you are running around trying to tie up the 2011 loose and get set for Christmas... Well ends here at Casa de cucoo.. We are gearing up for the 2012 CMN plant sale. Recruiting volunteers! Getting donation letters written,refining the address list. and choosing what seeds we are going to grow for you! So Think warm May thoughts and think about how YOU can help. Need more Volunteers and more Costco Employees to get involved. "adopt" local garden club( Avon,Stoughton.Brockton,holbrook,Randolph,canton,Easton,Sharon,Quincy) Get marketers to focus on hort related groups for member drive. So YOU come one down to 120 stockwell drag your hubby your mom your kids your garden enabling friends and come support CMN and the last 7 days of the 2011 Plant sale~! 2011 potting party in pics. A few of the pics of my wonder volunteers who spent the day at the farm getting everything all ready for the Plant Sale. My heartfelt thanks to you ALL!! A few pics of the action at casa da crazy plant lady as I gear up for the 2011 edition of the Children's Miracle Network Plant sale.. This is the outside potting area. I have 800 lily bulbs that Zabo kindly doanted again that need to be potted up! Plus the divisions from my yard and the bagged collections that fell in to my cart at work...so about 2000 plants to get in to soil ASAP. This is the 2 FULL low tunnels I have outside. Tunnel 1 is NEW plants from bulbs and roots for this years sale Tunnel 2 is perennials from last years winter sowing that will sell this year. close up of a baby delphinium. indulge me. So proud I can get this sucker to GROW they have been HARD. outside view tunnels 1 and 2 and Tunnel 3 waiting to be filled. That is getting a 1 1/2 foot layer of fresh horse manure 1st. ( Thank you Aaron honey I love you) So it will hold heat over night better and i can put the peppers tom's and annuals in it. Never had to write a press release before. Charity plant sale to benefit Children’s Miracle Network (CMN) Hospitals in support of Children's Hospital Boston to be held Starting Friday April 29th Sat April 30 and Sunday May 1st from 1130 am to 5 30 pm. At the Costco Avon Location 120 Stockwell Drive Avon MA 02322, 508-232-4000 behind Jordan's Furniture..
Why a Plant sale for a hospital some people ask??... Because it's a way to spread HOPE for the kids that Children's Hospital Boston serves,and the joy of gardening rewards all the people kind enough to donate to the cause. It's a great win win partnership where the giver gets as much as the receiver! The Plant sale May 2010 raised $10,500.00. Goal is to raise $20,000 in 2011. Any plant material such as :Aloe Vera plants, African Violets, and seasonal annuals, perennials,herbs,veggies,shrubs .Any plants you need to divide or need to move to make room for new ones are more then welcome! Desperately need plant smart volunteers to share their knowledge and love of plants.This is a key component to making the plant sale work. Need Volunteers to help people select the right plants,.All set up tear down and watering will be done for you. You get to share your knowledge and love of gardening,inspire others to garden.. And help a very worthy cause right here in our area! Plus you get a free one day shopping pass to the Costco Avon store and lunch during your volunteer shift. Also need volunteers Sunday April 17th from 1 pm till 5 pm in Dighton MA . 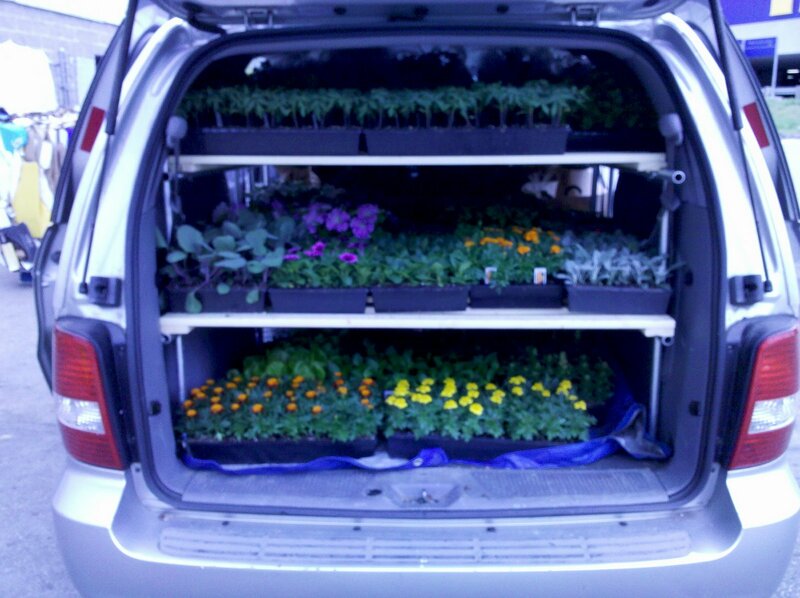 Music,food,kid friendly,work day to get the 600 plants grown at Michelle's house ready for the sale. RSVP at Crazyplantlady@AaronTarver.org. Packard farms in Brockton is a very generous sponsor and donates many beautiful plants of all kinds to fill all your spring gardening needs for the duration of the sale. Lori Packard at Packard farms is the fairy god mother to this project. 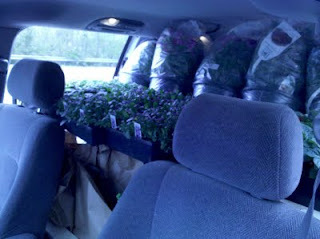 Pleasant View Gardens in Louden NH has promised once again to donate beautiful hanging baskets for Mothers day weekend. 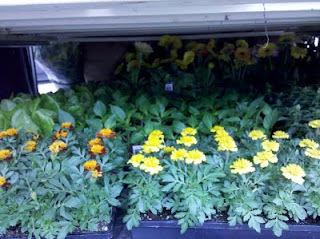 D&D Farms in Stow Mass has promised to provide plants to kick of the sale and we are exited to welcome them to the team! The sale will have a large assortment of heirloom and hybrid tomatoes grown by various volunteers for the 3rd week of the sale. More sponsors are expected! So stay tuned! Not able to Volunteer? You can still help! Come shop for your spring plants and support Children's Miracle Network Hospital! The 6 Costco locations in MA and NH, partnering with the CMN Hospitals, raised over $147,000 for Children 's Hospital Boston in 2010. Please join us in helping a great cause that has tremendous impact on the lives of so many local children and families. I am planning a charity plant sale to benefit Children’s Miracle Network (CMN) Hospitals in support of Children's Hospital Boston (see enclosed) to be held this May 2011 . I would like your assistance. 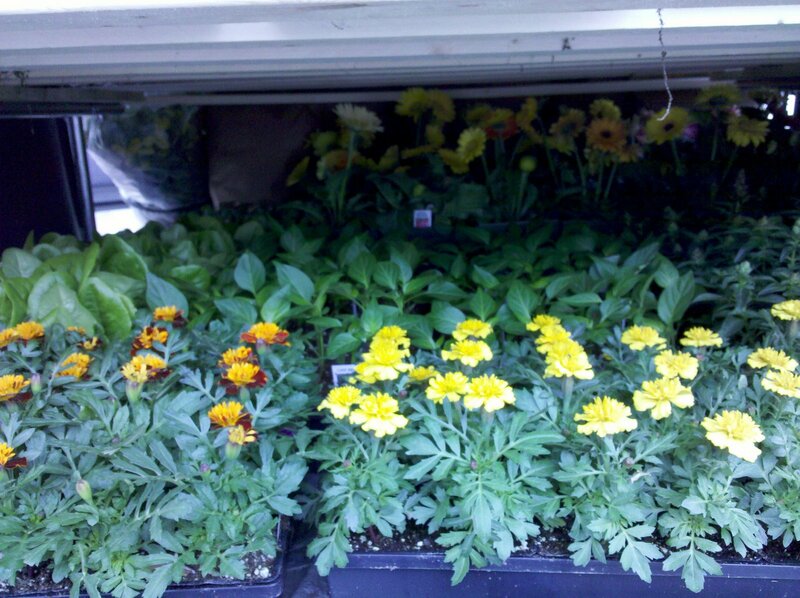 I successfully facilitated a small-scale plant sale May 2010 and raised $10,500.00. I hope to raise $20,000 in 2011. Any staff that would like to spend a few hours sharing their knowledge of plants at the sale; monetary donations were always greater when a green-thumb was on hand to advise. Volunteers will receive a one day shopping pass to Costco Avon. Any other items you think would be helpful in this endeavor would be welcome as well. Costco Avon will provide one extra large CMN Hospitals Sponsorship Poster with your business information posted in a prominent location for any donation worth $500 at retail. This request can be validated by contacting Shannon Collins (Warehouse Manager) or Eric DeSatnick (Marketing Manager) at Costco Avon, 508-232-4001. For any other questions, or to coordinate a donation, you may contact me (or my husband Aaron) directly. 1st advice I guess is this: Know it's going to be a LOT of work. It's NOT all going to go smoothly.And it's kinda stressful trying to get a living product to do what you want on YOUR time schedule. It gives a whole new level of respect to farmers. Make sure your spouse/kids are on board. It's good to have the moral support and the extra hands. The PERENNIALS: you sow now will be best for sale in 2012, If you can find perennials that bloom the 1st yr from seed those are good for this year.. Herbs of all sorts are GREAT to start this way. I do my sale in May because I have to ..but if you can do Early June or your zone is warmer then me you have more options of what can wintersow well.And be ready in time for your sale . Pansys Petunias really anything can be winter-sown or spring sowed. Low tunnels/hoop-houses are a good way to get the plants out of the lights and outside a lil sooner. I have an EXTENSIVE list of places I ask for donations ..I mail all over the country. Do not limit yourself to just your area...And I get a good response rate. I have 3 categorize of letters one for nurseries,one for garden clubs and one for hardware-stores. make sure your letter can be vetted. Provide your intended charities recipients information and let them know that they may get calls. I do not take the 1st NO for a donation request. If they can not donate I ask for volunteers or to let me buy stuff at cost. offical 2011 begging letter.. yours to use if you want to help/. I am planning a charity plant sale to benefit Children's Miracle Network in support of Children's Hospital Boston (see enclosed) to be held this May 2011 . I would like your assistance. Costco Avon will provide one extra large Children's Miracle Network Balloon with your business information posted in a prominent location for any donation worth $500 at retail. The 5 Costco locations in MA and NH, partnering with the Children's Miracle Network, raised over $149,000 for Children 's Hospital Boston in 2010. Please join us in helping a great cause that has tremendous impact on the lives of so many children and families. This request can be validated by contacting Shannon Collins (Warehouse Manager) or Eric DeSatnick (Marketing Manager) at Costco Avon, 508-232-4001. 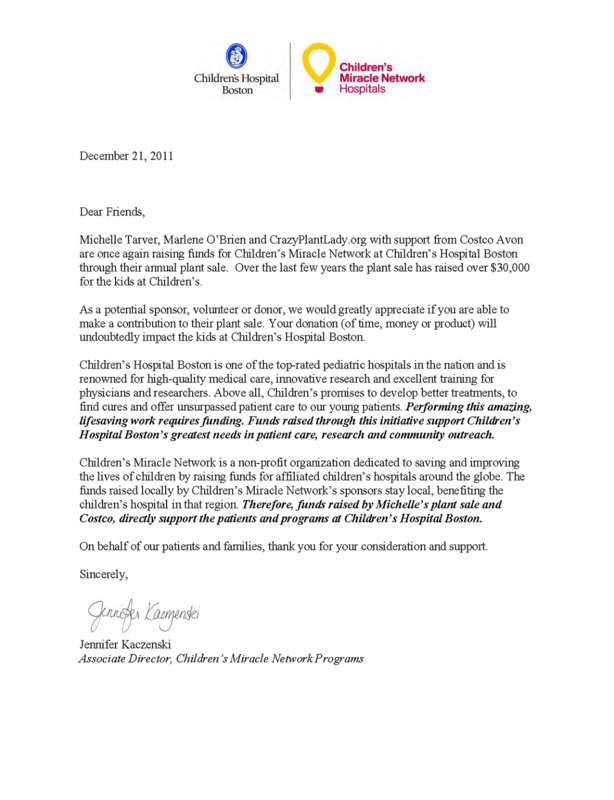 Please see also the enclosed letter from Jennifer Kaczenski, manager of CMN Programs at Children's Hospital Boston. The seeds I have been given are GREAT! I am loving it! I will carefully store what I can not use th is year for next year. Now I need People to GROW the seeds and Dirt..er soil... to grow em in. due to some challenges ( break job,oil heat and feeding 2 teenagers..LOL) I find myself short of funds..so if you want to donate Dirt cheap...Please donate some well Dirt..LOL. for the Garden Project. I got new seeds..... wanna adopt them? I have about 100 of each of these seeds Kindly Donated by Trudi at Winter Sown.org You intrested in Starting any of these for you and for the sale? Ok, SO I am a bad writer. Let me Say Thanks for stopping here. I'll do my best to answer your questions and talk you in to helping me. In 2009 I started to many seeds for my own use. I asked my boss at work if we could sell them at work and I could add what that sale raised to what the company was raising for Children's Miracle Network that would benefit Children's Hospital Boston. Well from my "extra" plants we made $3000.00. So I planed for a year grew lots of "extras" found a lot of kind crazy generous people to help me..and we made $10,500.00 in 2010 for Children's Miracle Network that would benefit Children's Hospital Boston. So Now I am planing the 2011 sale. I am looking for any help any person gnats to give. I need soil, seeds, growers,fetchers,mailers,and transporters for plants to name a few ways I would need your help. OR you tell me..what's your strenght? Want to lend it to me? Great!! So poke around. Drop me a line. Get involved!